Nature is available 24/7 for us to enjoy! Photo Credit: Unstoppable Traveling Mom. Families that play together stay together – it’s a proven fact. So much so that many families have dedicated their entire lives to prioritizing memories over money. And as a result, family staycations and budget friendly travels have become more of a norm than extravagant high rolling vacations. Traveling with your kids, experiencing all the same emotions, teaching, laughing, learning … there is nothing that replaces that bonding time. One of the best locales for family fun exists on the Western slope of Colorado, right in the center of the Rocky Mountains. It’s a mecca of adventure, history and good old fashioned fun. Here are 6 fun, interesting and FREE Things To Do in Glenwood Springs, a popular little mountain town in Colorado. 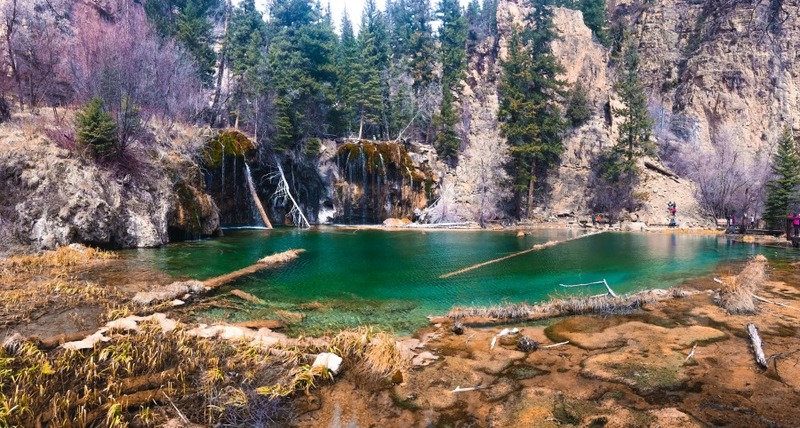 One of the most beautiful places in all of Colorado, Hanging Lake is a must see! Photo Credit: Susie Kellogg, Unstoppable Traveling Mom. Glenwood Springs is one of those western Colorado towns that people flock to for a weekend getaway. There are plenty activities for those with a bit of extra cash in their pockets. There’s the Hot Springs Pool, Glenwood Caverns, Iron Mountain Hot Springs, rafting, even ATV tours, snowmobiling and paragliding, all in this beautiful valley. 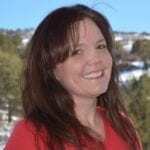 But Glenwood Springs, a beautiful town nestled between Vail and Aspen, also offers a plethora of free activities that are heavy on history, adventure, education, and fun. 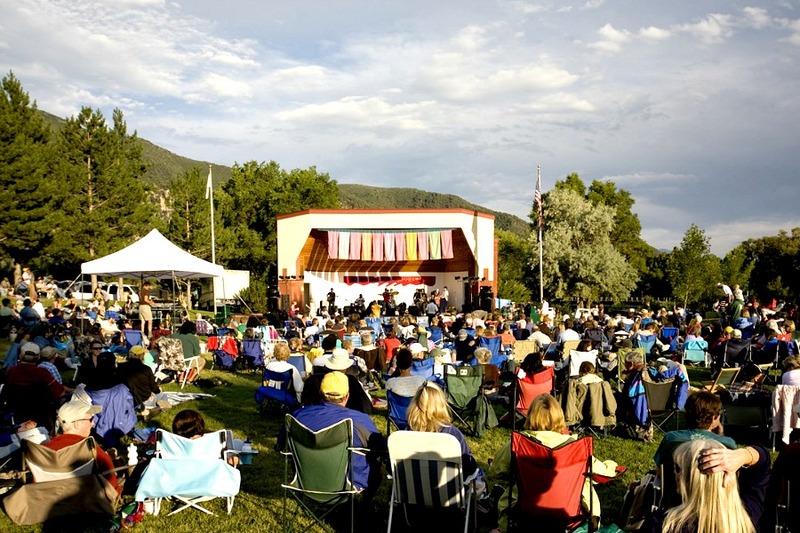 This comprehensive list of Fun, Free Things to Do in Glenwood Springs will have you outside breathing in the pristine mountain air, reveling in warm summer days and cool nights. It’s time to head to Glenwood Springs and enjoy the mountain life with your family. Rated as “difficult,” I suppose I should suggest you exercise caution when setting off, but don’t let the difficult rating scare you away. Our 4-year-old hiked the entire trail by herself, up and down. It is a steep climb up, but the payoff at the top is the most beautiful scene one can imagine. A green/blue lake surrounded by waterfalls. Literally, it’s like a Hawaiian lagoon in the middle of the Colorado mountains! Glenwood is really a hiking mecca with so many gorgeous hikes in the area, and best of all, hiking is one the cheapest activities ever! 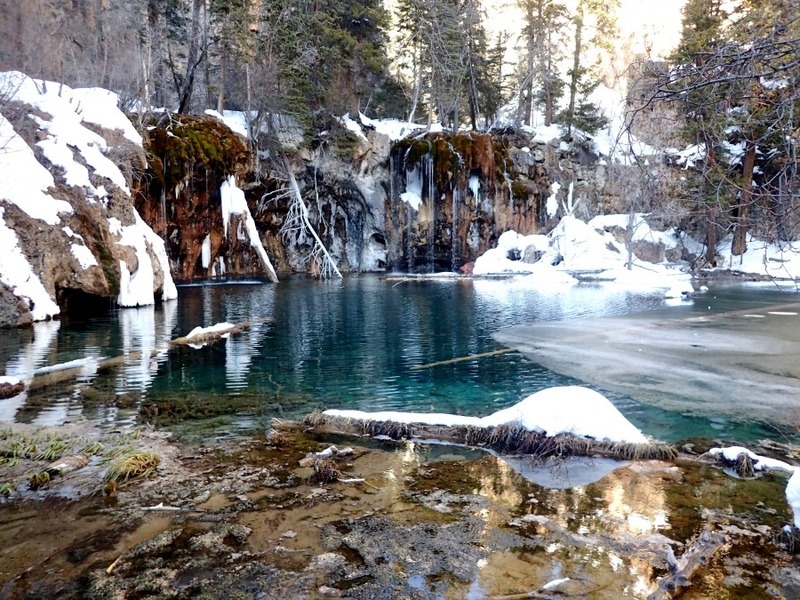 And Hanging Lake is, without exception, one of the greatest Free Things To Do In Glenwood Springs, CO. Experience a little pioneer history at Linwood Cemetery, and visit the graves of some infamous characters. 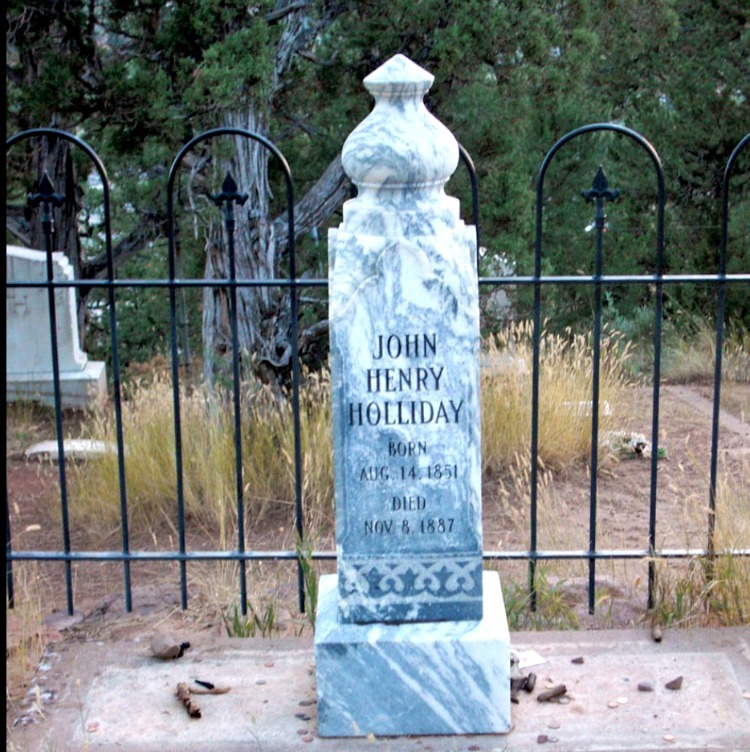 Doc Holliday, who died of tuberculosis in Nov 1887, is buried here. Apparently, he’d been looking to the Hot Springs to cure his illness. Harvey Logan, aka “Kid Curry” is also buried in Linwood after committing suicide following a train robbery in 1904. For a while, Logan had been a member of Butch Cassidy and the Sundance Kid gang. Linwood Cemetery is located in the heart of downtown. It’s just a little hike up with some great lookouts over the city. Ample parking on the street makes this a great foray … hit up any of the number of amazing restaurants in downtown Glenwood Springs after. Aside from being the most beautiful place I’ve ever laid eyes on, Glenwood Canyon is home to many rock and ice climbing opportunities throughout the main canyon. Side canyons offer some amazing spots as well. Really, you can’t go wrong in Glenwood Canyon as nearly every exit off the highway offers a climbing opportunity for those who know what they are looking for. Climbing is one of those sports, that once you have the gear, you can set off in search of amazing fun. 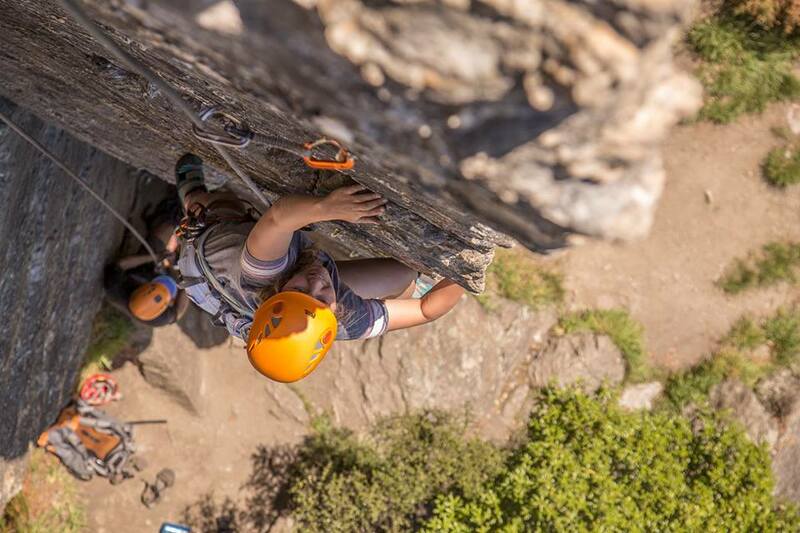 Definitely put climbing in Glenwood Canyon in your itinerary of top Free Things To Do In Glenwood Springs, CO.
Free concerts every Wednesday night during the summer? Yes, please. These gatherings attract music lovers of all ages who are treated to a wide array of different beats. Locals round up their kids and often picnic down by the river while listening to local bands. Enjoy fellowship, dance, let the kids run wild, pop open a bottle of wine and relax in the cool mountain air! It’s a pretty cool scene, heavy on the jazz, but still cool enough to check out for a bit. Fantastic views from up above on Transfer Trail! Photo Credit: Susie Kellogg, Unstoppable Traveling Mom. The State of Colorado is an off-roader’s dream, with trails ranging from dirt to gravel to paved, there is something for everyone in every nook and cranny of the state! The Glenwood Springs area is no different. Trails abound here, as do guides. Transfer Trail has quite possibly the most gorgeous views in the state and great camping alongside lakes at the top. 4-Mile with its Aspen Groves and forest and even a huge open meadow offers a paradise for off-roading enthusiasts. So, when heading to Glenwood Springs, grab your trailer, ATV, Jeep, or dirt bike, and plan to put off-roading on your itinerary of Fun, Free Things To Do In Glenwood Springs, CO! There is a lot of river in Glenwood Springs, CO. In fact, two very distinct ones, with varying degrees of difficulty. The Colorado River offers Class II-IV and the Roaring Fork Class II-III. There is a little something for everyone! If you don’t have your own craft, you can fork out a little cash and book a raft trip or even simply rent. But, for even cheaper you can grab a tube from your local tire store and have a blast down the Grizzly Section of the Colorado River. Glenwood Springs also has a whitewater park, for kayakers and SUP’ers, just below Two Rivers Park. It’s the perfect standing wave for surfboards, boogie boards, SUP’s, kayaks and yes, even tubes! Stay safe and be sure to wear a PFD or more commonly known as a life jacket as you enjoy my favorite of the Free Things To Do In Glenwood Springs, CO.
Biking is a big year round thing in Glenwood Springs, CO! Photo Credit: Susie Kellogg, Unstoppable Traveling Mom. Biking is a big deal here and one of the most popular Free Things To Do In Glenwood Springs, CO. From mountain biking to dirt biking and beyond, Glenwood Springs is on the map when it comes to biking. Paved trails along the Colorado and Roaring Fork Rivers offer riders of all abilities access to beautiful scenery along smooth surfaces. 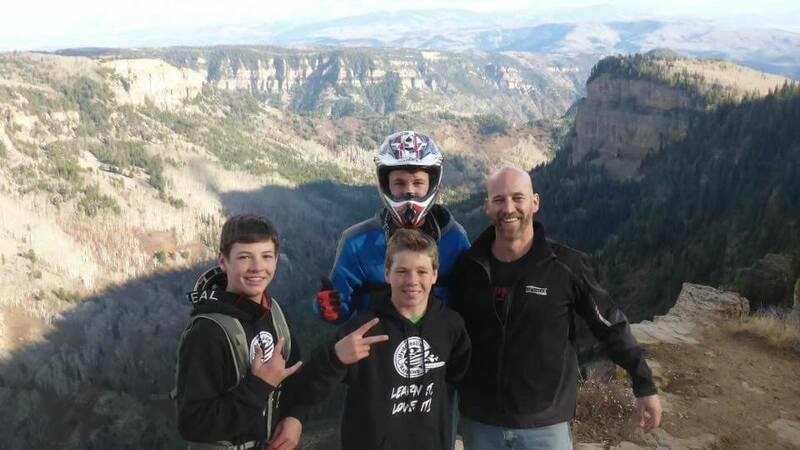 There are also plenty of off-road rides that climb high above Glenwood Springs and finish with a wild ride back into town. A lot of time, money and effort was put into ensuring access to top notch trails, bike lanes and connecting routes for commuters. Your littlest rippers will love the bike trails along the river and they might even get to see bighorn sheep along the way! As a full-time traveling family, we are often asked where or what our favorite free family locations or activities are. Our obvious answer is everything in nature! There are National Parks and State Parks that may charge a small fee, but most of our public lands are free to use and enjoy. America is full of wondrous and glorious natural habitats that are just waiting to be discovered! 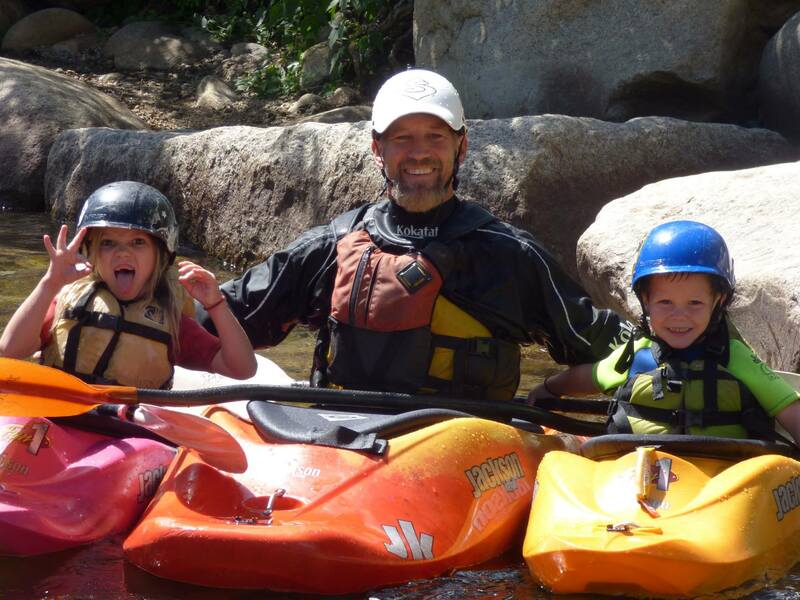 Get outside with your kids … fun doesn’t have to cost an arm and a leg. In fact, real fun is often absolutely free! 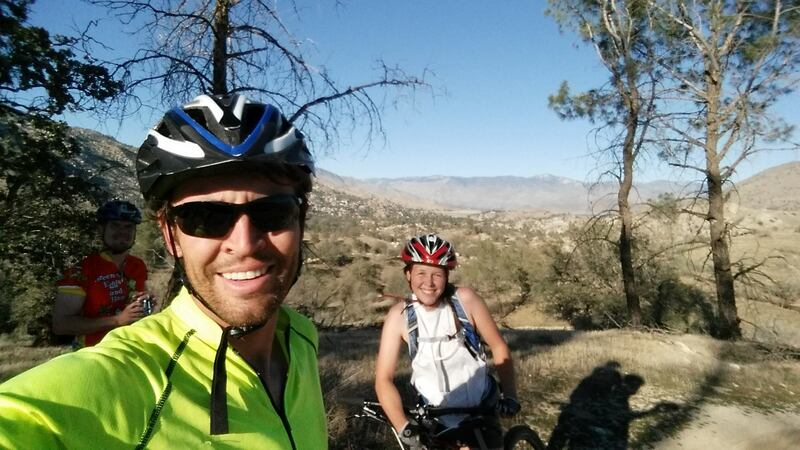 What’s your favorite outdoor adventure? Share with us in the comment section below.